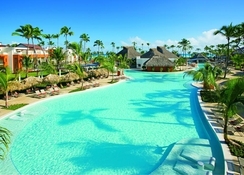 Breathless Punta Cana Resort & Spa is an adult-only, luxury resort with 750 ultra-chic suites and 10 bars and restaurants. 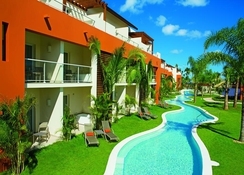 It combines luxury hospitality with the beauty and adventure of the Caribbean islands. The hotel gives you the complete experience of a luxury holiday, with unlimited access to a number of freebies. Guests can enjoy limitless access to top-class spirits, a la carte dining options, exciting daytime activities and evening entertainment, live performance by famous DJs, theme parties, oceanfront bars and entertainment venues. Additionally, you can also get daily maid services, pool and beach wait services and 24-hour room and concierge services. You can also enjoy free Wi-Fi and international calling facilities. The world-class spa pampers guests with a range of body treatments such as seaweed wrap, chocolate body wrap, massages, hair treatment and lots more. 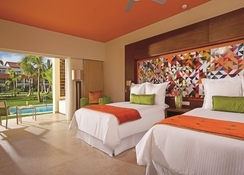 The hotel also offers special packages to guests who want to throw bachelor/bachelorette parties or celebrate honeymoons and anniversaries in the pristine Caribbean. 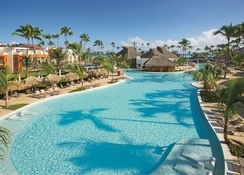 Breathless Punta Cana Resort & Spa is located in one of the most happening beach resorts of Dominican Republic and is located on the easternmost side of the island, facing the Caribbean and the Atlantic seas. The nearest beach is just a couple of minutes away from the hotel. The Punta Cana International Airport is about 41.5 km away. The hotel has 750 stylish suites, which have spectacular views of the ocean, the lush tropical gardens and the hotel’s pool. Amenities include king- or queen-sized beds, a furnished balcony or terrace, en-suite bathrooms, complimentary minibar refreshed daily, direct dial telephone sets, flat screen TV, air-conditioning with climate control and wireless internet services. 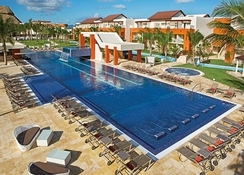 Breathless Punta Cana Resort & Spa specializes in international and fusion cuisine. It has 11 gourmet venues in total, and reservation is never required. 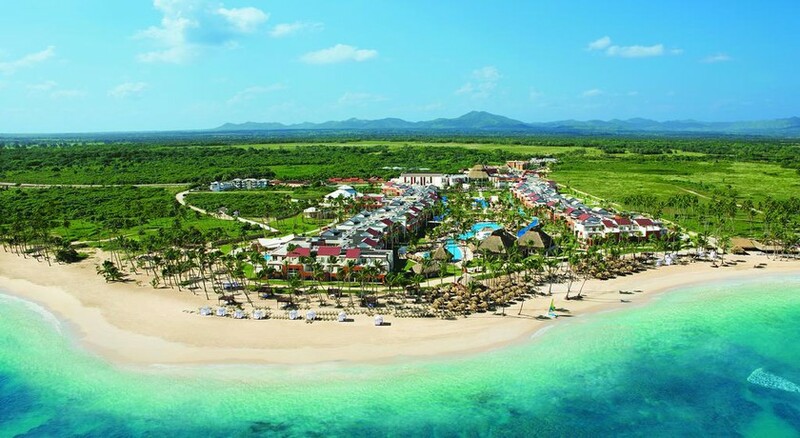 These include seven a la carte restaurants, two buffets, a grill on the beach and a café. Some restaurants, like Kibbeh, are open 24 hours, thereby enabling you to catch a quick bite whenever required. The hotel serves a range of cuisines that include Italian (Spumante), Mexican (Picante), French (Coquette), gourmet Mediterranean (Kibbeh), pan-Asian (Silk City), Latin Criollo (Sofrito), grilled specialities (The Strip) and international buffet (Spoon). The hotel has a swim-up bar, a theatre bar, a seaside bar, among many others within its premises. Guests enjoy unlimited access to top-shelf spirits, cocktails and fruit juices. 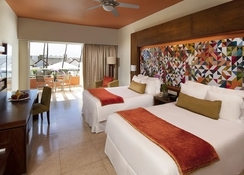 You can also enjoy the drink in your room with the 24-hour room service and complimentary mini bar. The hotel’s events calendar is filled with performances by international DJs, special shows, events and parties. Strictly for adults, these parties are mainly theme-based, where you get to sway your hips to some of the grooviest tunes of the day. When it gets too hectic, take a dip in one of the hotel’s 8 pools and 4 whirlpools, or relax by getting a massage at the hotel’s spa, while sipping on a glass of fresh juice. The outdoorsy holidaymakers can bask in the sun on the private beach, enjoy water sports like snorkelling, sailing, kite surfing and kayaking, or tee off on a nearby golf course. For young, single travellers, this hotel is the perfect place to meet someone special. If you are planning to get hitched, the hotel provides packages for weddings, bachelor and bachelorette parties. There are also special honeymoon and anniversary packages. The 24-hour fitness centre of the hotel has state-of-the-art cardio-vascular equipment and free weights. The centre also conducts classes on yoga, Zumba and so on.